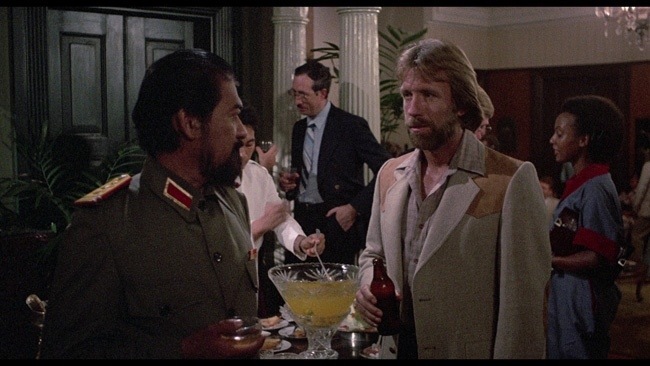 Released in 1984 and starring Chuck Norris, Missing in Action from Cannon Films is one of their and Chuck’s most popular films however over the years this has built up some backlash calling it propaganda and racist. Quite honestly I don’t see anything offensive about the film and people these days have gotten far too sensitive with almost anything no matter how absurd someone finds something offensive and even in film and TV we often see very PC products. 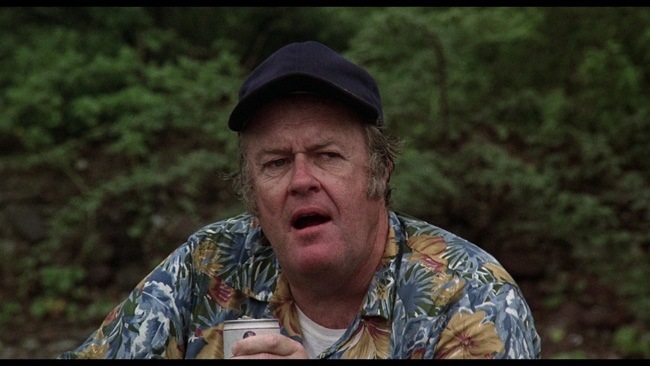 I’m almost scared to think how people would now react to a show like All in the Family. Like I said I personally don’t see anything offensive about Missing in Action and people should just judge the film on its own merits. 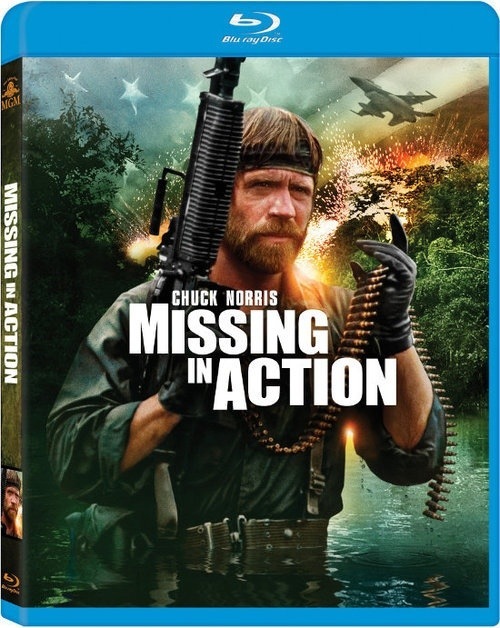 Missing in Action may not go down as an action classic, but when all is said and done its a highly entertaining film. 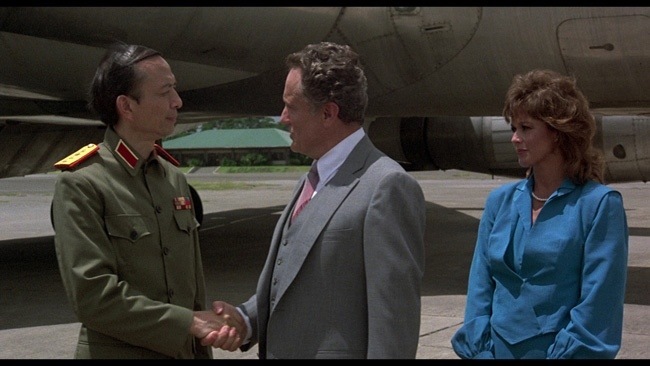 Former POW Colonel James Braddock heads to Chi Minh City with an investigation team to find proof of POWs. However Braddock knows the truth since he was a POW and with the help of Tucker (Walsh) an old army buddy set off to find the POWs and free them from captivity. The screenplay by James Bruner is fairly solid; the plot is simple, but works well enough. Character wise they may not have a whole lot of depth, but they serve their purpose. Overall the script the script works well and serves its point. 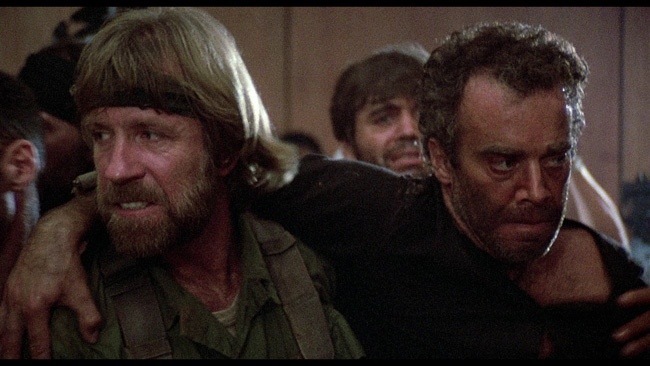 Missing in Action was directed by Joseph Zito best known to horror fans for the 1981 slasher film the Prowler and from 1984 Friday the 13th: The Final Chapter, which many fans feel was either the best of the series or the best of the sequels. 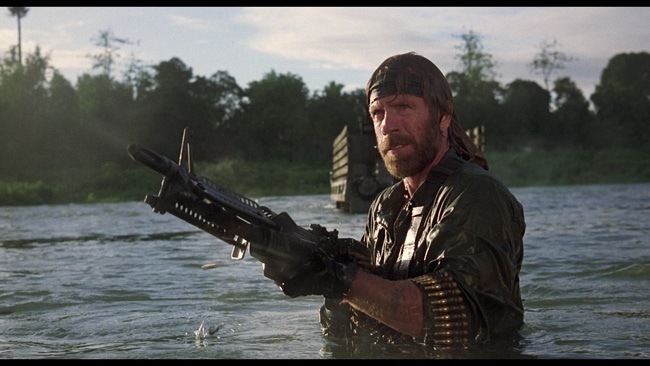 Zito has also done plenty of action films as well besides Missing in Action he also directed Invasion U.S.A., which also starred Chuck Norris and made Red Scorpion with Dolph Lundgren. In my opionin Joseph Zito is a great filmmaker, but not in the traditional sense. He’s a guy that clearly understands what his audience wants and delivers on it. He isn’t out to make high quality cinema, but films that are fun and entertaining and back in the 80s he pretty much delivered on that. 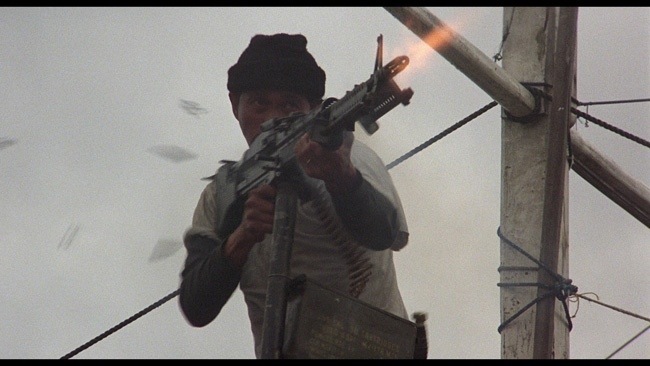 The pace of the film starts off very well with plenty of action, but around the middle of the film the pace can begin to slow down, but its never boring, but the script wasn’t strong enough to fully carry the picture, but Zito handles things well and keeps it from getting too slow. The final act though Zito gets things back on track and delivers some fun and exciting action scenes. 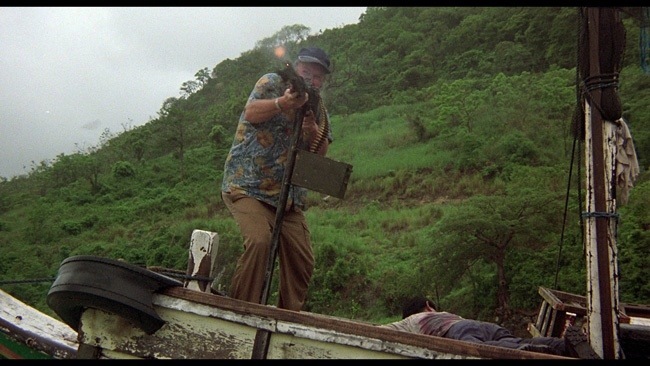 Like I said Joseph Zito is a great filmmaker, but not in the traditional sense. 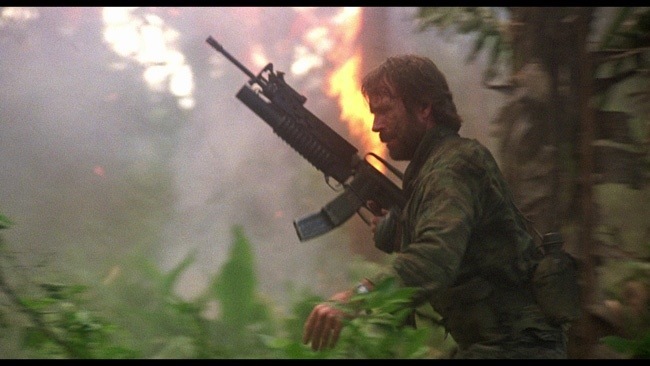 With Missing in Action like his other films of the 80s he very much delivers what the core audience wants. 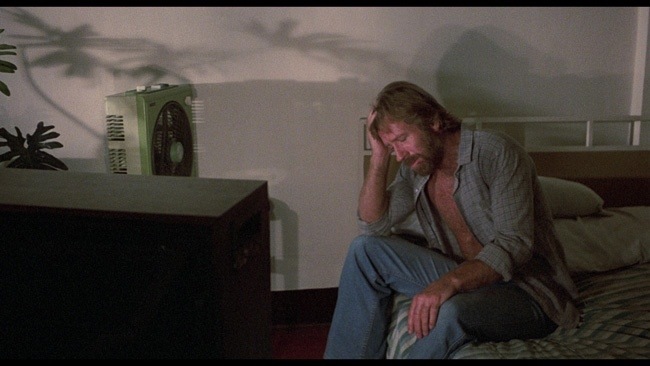 Chuck Norris is excellent as the no nonsense tough guy and while he may not have a lot of range as an actor he plays the tough guy roles to perfection. 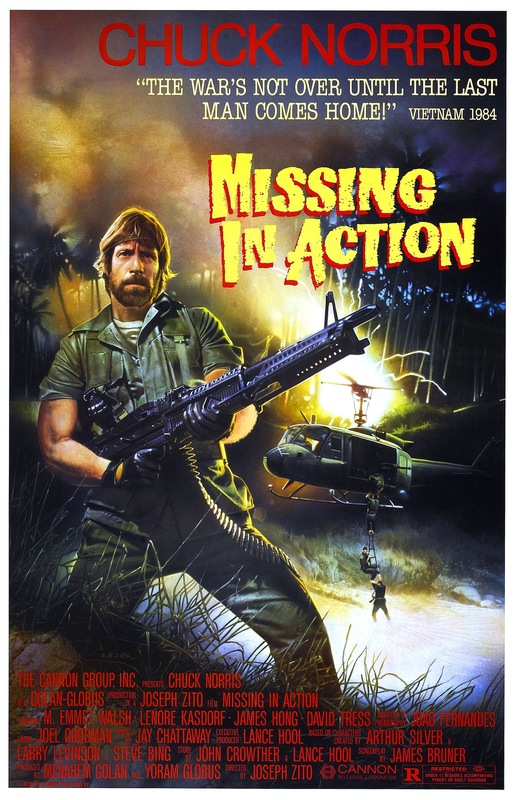 Here’s a bit of trivia; originally Missing in Action was actually the sequel and Missing in Action II was supposed to be released first (there’s even a poster where the Part II isn’t there), but it was decided Missing in Action was the stronger film of the two and released first and Missing in Action II became a prequel. 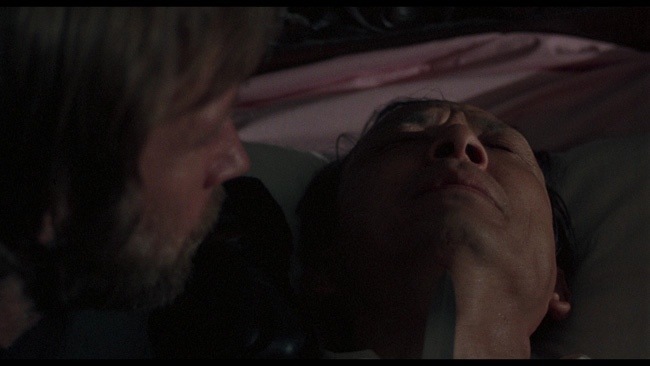 The score was by Jay Chattaway who is probably best know for his work with William Lustig in such films as Maniac, Vigilante, Maniac Cop (as well as part 2) and Relentless. Chattaway has also worked with Joseph Zito on Invasion U.S.A. & Red Scorpion. Joao Fernandes the cinematographer worked with Joseph Zito on The Prowler, Friday the 13th: The Final Chapter, Invasion U.S.A. and Red Scorpion. Fernandes also has some other notable credits without Zito including Children of the Corn.